One of the best things to do when you’re stuck indoors with friends in college is play a board game. But which game? Games like Monopoly and Clue are the only games some people have played, leaving a bad taste in their mouth regarding board games. This list should help you find a great game to play with friends in college, or help find a great gift to give to your friend in college. Before you go and buy games like Risk, Monopoly, or Cards Against Humanity, I would urge you to consider some alternatives. There’s better games out there! Here, I’m going to quickly recommend some alternatives to popular games. Why not? Takes too long, players get eliminated and can’t play anymore, too random with dice. Lot’s of people like Risk, because it’s one of the only board games they’ve played that feels like a big epic battle. However, it takes too long given the depth of the actual gameplay, which mostly consists of throwing handfuls of dice, and people get eliminated. Here’s what I recommend instead of Risk. 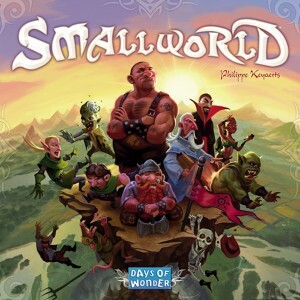 Small World – Small World has the same gameplay as Risk where each person plays a different faction trying to take control of the map. However, it plays much quicker, is more tactical, and has a fantasy setting. I strongly recommend this as an alternative. Memoir 44 – Memoir 44 is only for 2 players, and isn’t really all that similar to Risk, but it is a phenomenal WWII game with dice and miniatures. If you’re only playing with 2 and want a war game that’s easy to get into, get this! 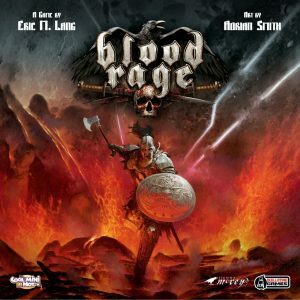 Blood Rage – Blood Rage is a really popular game where each player controls a clan of vikings. This one is more expensive and complex for the previous two, so if you’re still new to board games, get one of those. However, if you’re ready for more rules and a step up in board gaming, get Blood Rage. If you’re thinking of getting Cards Against Humanity, just… don’t. It’s a game that encourages you to make offensive jokes, and that alone should be enough of a reason to avoid it. But even if you’re okay with that, you still shouldn’t get it. The whole game just has you submit a card in your hand as the punchline to someone else’s joke. There’s no creativity there, and it’s stale. Instead, get a funny game that encourages and allows people to be creative. Codenames – Winner of the Game of the Year! Everyone is divided into teams of 2, and the spymaster has to communicate to his team which words on the boards to guess. And you have to be clever to win, really clever. It is phenomenal. You can read more below. Monikers – In Monikers, you have to get your friends to guess what’s on the card you have, without saying it. In later rounds, your hints are only 1 word, and then no words. This leads to a lot of fun inside jokes. 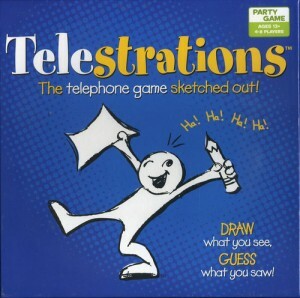 Telestrations – This is hands down the funniest game I’ve played. I’ve never played a game of this where someone isn’t crying with laughter by the end. You can read more about it below in the article. 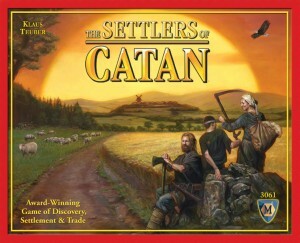 Settlers of Catan: This offers pretty much everything Monopoly does, but better. You can build houses and upgrade them, trade with other players, roll some dice, and buy event cards. If you enjoy Monopoly and have never played Catan, you owe it to yourself to check this one out. 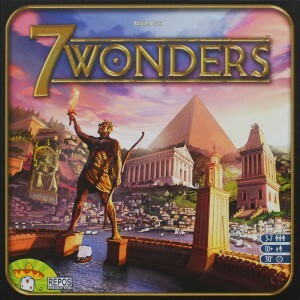 7 Wonders: This game let’s you build up a civilization in 30 minutes – that’s amazing! And it plays well with up to 7 people. On paper, a 30 minute civilization game with up to 7 people sounds too good to be true and like it shouldn’t work, but it does. And it works wonderfully. Hopefully that gave you a few quick recommendations based on some other games. Now, here is my overall top 10. Why? Elegant simple rules, fun theme, replayability. 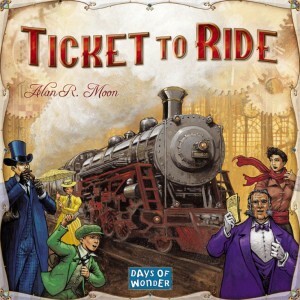 Ticket to Ride is simple, engaging, and fun. You collect cards of the same color to buy train routes between cities. That’s it. I never though a game like this would be so fun and strategic. The simple rules allow it to be learned within 5 minutes, and there are tough choices each turn that keep you thinking. The train theme is beautifully woven into the game as well, and the whole game looks fantastic. Why? Civilization building game in 30 minutes, up to 7 players, simultaneous play. One thing that makes 7 Wonders great is that all players get to play at the same time, which leaves no one sitting around bored. This mechanic is pretty unique, and makes the gameplay pretty intuitive. It hits that sweet spot of offering enough strategic depth for serious players to enjoy, while also being simple enough that casual gamers can have a lot of fun, and at 30 minute playtime its easy to either get in 1 quick game or knock out a few back to back. Why? Hilarious game for up to 8 people. Telestrations is a great college game because it allows up to 8 people to play, is easy to learn, and is hilarious. Few other games are this funny and allow for this many people to play at once, and the rules can be learned in 30 seconds. You draw a picture, pass to the next player, they guess, what it is, the next player sketches the new guess, and so on until everyone has gone. At the big reveal at the end, everyone’s pictures and guesses are shown, and everyone laughs at how messed up everything got. Why? Word association game that encourages and rewards you for being clever. Codenames is the 2016 game of the year, and for good reason. It’s incredibly simple to play, it’s cheap, and it’s so fun. Everyone is split into 2 teams, and they have to guess all their words on the board before the other team does. Whoever is the spymaster for their team will have to rack their brain trying to figure out what clue to give that doesn’t give away too much. It might not sound like much, but it’s perfect with a good group of friends. I can’t recommend this enough. Why? Star Wars themed campaign battles with multiple game modes. 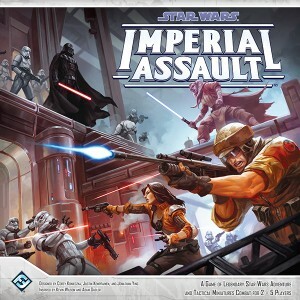 Star Wars: Imperial Assault is the perfect board game for any Star Wars fan. Avoid Star Wars themed Monopoly or Risk and get this instead. The gameplay is rich and engaging, has the look and feel of the movies, and has a lot of variety in game play. It can be played either as a campaign spanning multiple missions, where a group of Rebel heroes take on the Imperial player, or as a 1v1 skirmish game. Every Star Wars fan is sure to love this. Why? Simple, beautiful game that fosters creativity and laughter. 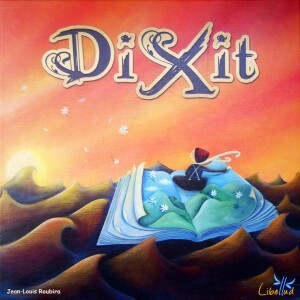 In Dixit, each player has a hand of illustrated cards, and has to describe their card to the group. Everyone tosses in a card they think fits the description, and everyone votes on what they think the correct card was. The cards are beautifully illustrated, the game is fun and fills the niche of an apples to apples. Why? Cooperative game with a betrayer… and zombies. 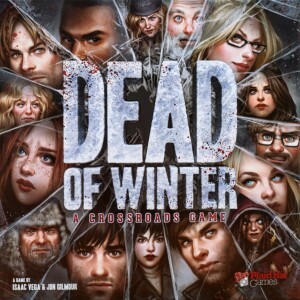 Dead of Winter is incredible. All the players work together to survive a zombie apocalypse by gathering food, medicine, and killing zombies. 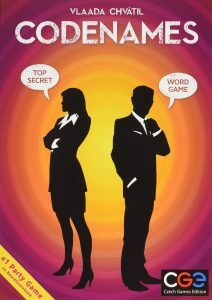 However, each player also has a secret goal, which may be harmless, but which also may cause one player to secretly work to betray the team the whole game without being caught. This makes games intense especially near the end, when the team struggles to stay alive and accusations fly. Why? Fun strategy game with fantasy setting. Small World is a strategy conquest game, where you play as a certain race with a unique power. These races and powers are randomly combined each game, making it unique each time you play. Flying Wizards. Heroic Giants. Wealthy Skeletons. This game is fun. And it’s a lot lighter and more accessible than similar conquest strategy games. Instead of slugging it out over 4-5 hours in a game of Risk, Small World plays quick in 60-90 minutes, and without player elimination. When your army gets conquered, you choose a new race and begin your conquest again. Why? Cooperative game with a save-the-world theme and unique player abilities. Pandemic is unique, in that all the players work together to defeat the game (no secret traitors like Dead of Winter). Each player plays a unique role with special abilities on a research team. This requires all players to work together to figure out the best way to cure the world of diseases before mankind is eliminated. 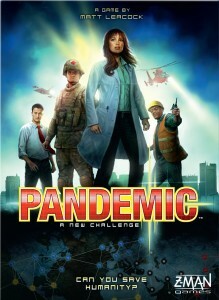 Pandemic does a great job of integrating the disease fighting theme into the game, and you’ll have a fun working together with your friends to try to save the world. Why? Tons of player interaction, replayability, beautiful mix of luck and strategy. Settlers of Catan is my favorite game, and the number one game I recommend to everyone. If you haven’t played it, you need to. The board is set up differently every time, making it a new game each time you play. There is a great blend of strategy and luck, making it great for casual and strategic players, and everyone is always involved on every turn. Anyone is eligible to receive a resource each time the die is rolled, no matter who rolls, and everyone can trade with the current player. A game about trading sheep, wood, and bricks might not sound fun at first, but even the biggest skeptics that I have played this with end up loving this; this is easily the best board game for college. Settlers of Catan will not disappoint. I hope you enjoyed my list! Comment about what your favorite board games for college are. Catan is certainly my favorite of the list as well. The trade aspect of the game makes for excellent player interaction, and often, high tension. It is the PERFECT game to play with friends new and old.